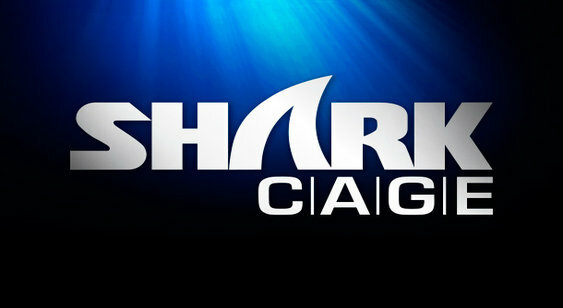 PokerStars is inviting players to enter The Shark Cage and try and win $1m in its latest TV show. The Shark Cage will feature eight heats (taking place at EPT stops throughout 2014) before culminating in a final table where one player will pocket the $1 million first prize. One online qualifier will take on five poker superstars in each leg. The first two televised legs will take place at the PokerStars Caribbean Adventure in January followed by further matches in Monaco and Barcelona. The $1m winner-takes-all finale will be held in London. The Shark Tank won't be a place for monosyllabic hoodie wearers by the sound of it. In an attempt to spice up the action for viewers, the show will place an emphasis on entertainment with some funky new rules and table chat actively encouraged. A 30-second 'shot clock' will operate and there will rewards and penalties for successful and unsuccessful river bluffs. PokerStars has announced details of qualifiers for the first two tournaments at the PCA. To be in with a chance, players need to make a deposit using special bonus codes to gain entry into daily satellite. In addition to a share of $5,000, the top 50 players from each of the six qualifiers will get a chance to audition for The Shark Cage TV show. To do this, a qualifying player simply needs to record a video audition in English, upload it to YouTube and then email the link to sharkcage@pokerstars.com no later than 23.59 ET on December 8. PokerStars' equivalent of Simon Cowell and Louis Walsh will judge the entries based on personality, enthusiasm, humour and talent with the eventual winners announced on 17 December. New players join the action at the PokerStars tables can enjoy a 100% first deposit bonus on their three deposits up to $400 as well as entry into freerolls where $50,000 in prize money will be awarded. Sign up at PokerStars.